Versailles Health Care Center, a skilled nursing and rehabilitation center, is hosting a FREE seminar titled “Evaluation and Treatment of Common Causes of Shoulder Pain Seminar” on Thursday, March 30, 2017 at 6 pm. 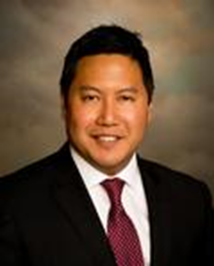 Dr. Jonathan Chae, Orthopedic Surgeon with Reid Health, will present this seminar. This is a free event and open to the public. Coffee and dessert will be served. Seating is limited, so reservations are needed. Please RSVP to this event by March 28. Call Angie Kaiser at 937.526.5570. Versailles Health Care Center is located at 200 Marker Road (State Route 121), Versailles, Ohio. For more information about Versailles Health Care Center, please call 937.526.5570 or visit on the web at www.versailleshealthcare.com. Dr. Chae’s office for consultations is at 1101 Jackson Street, Suite A, Greenville, Ohio. For more information about his services, please call 937.547.2212.